At Exterior Pro Roofing, our catalog of flat roofing expertise and working repair knowledge includes more than just metal roofing. 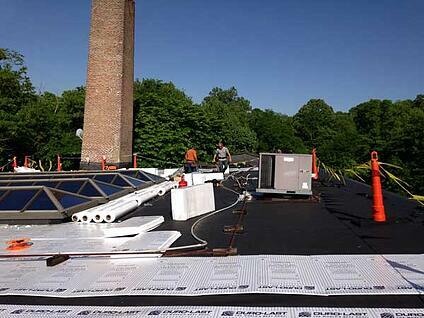 For example, we can also handle rubber roofing (which is often found on commercial properties). Whether your rubber roofing insulation is deteriorated or your roofs are plagued by recurring leaks, we can repair, coat or structurally reinforce your roof, no matter the extent of damage. Our dedicated team of flat roofing specialists is ready to help you save on rubber roofing repairs with warranty-covered solutions for decades to come. 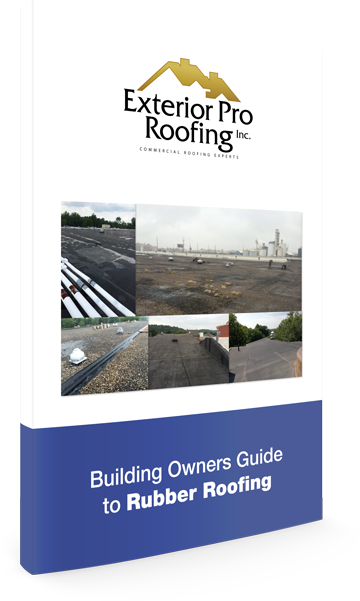 Don’t go through the expensive, labor-intensive hassle of tearing out your damaged rubber roofing; there are more practical solutions, such as installing a PVC support membrane or coating your damaged roof, that can cost you a fraction of full replacement. At Exterior Pro Roofing, we work closely alongside our customers to find the best possible solutions for their damaged rubber roofing. Quickly completed, clean and affordable, our rubber roofing repairs are perfect for business owners with varying levels of roof damage.